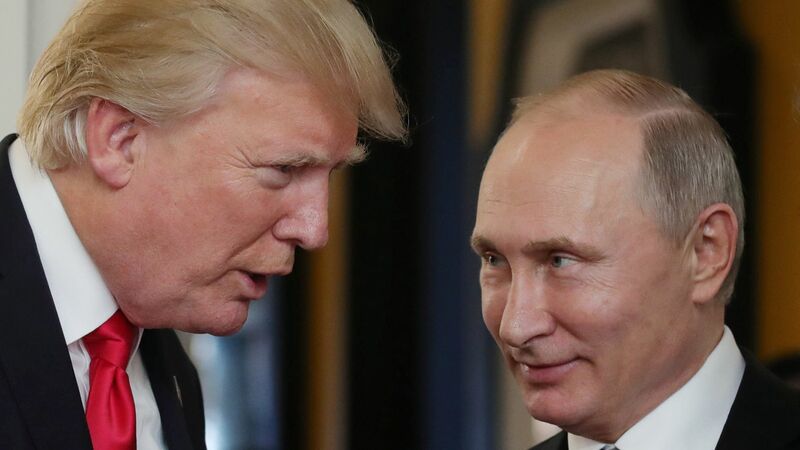 When President Trump meets President Putin next week in Helsinki, talk may turn to their shared belief in state sovereignty and hard borders. Putin’s approach to sovereignty is, of course, hypocritical — used selectively to justify aggression abroad while providing an excuse for oppression at home. What's next: Trump should take Putin’s high talk of sovereignty and borders at face value and use it to his advantage. After all, Russia’s invasion of Ukraine and continued occupation of Crimea and the Donbas remains the greatest infringement of a sovereign state’s rights since the Cold War. If ensuring a state’s ability to protect its borders is a leader’s highest calling, as both presidents claim to believe, it would seem Ukraine should enjoy those rights too. The backdrop: Trump has made border protection the cornerstone of his domestic policy and has been raising it more often with foreign leaders as well. Last month, he criticized Germany for allowing in refugees rather than enforcing border controls and, in a call with Hungarian Prime Minister Viktor Orbán, discussed the "importance of border protection and agreed that a country that cannot defend its own borders is no longer a country." Putin enjoys reminding others that sovereignty is at the core of his worldview. He has used “sovereignty protection” as justification for intervening in Syria on behalf of Bashar al-Assad, committing to defend Syria’s “territorial integrity” even in the face of Assad's chemical weapons attacks on his own people and the subsequent U.S.–led coalition bombing of Syrian positions. The Russian president has also used the principle of non-interference in other countries’ domestic affairs to justify expelling Western non-governmental organizations from Russia and suppressing Russian independent media by labeling them as foreign agents. It is this same supposed commitment to the sovereignty principle that Putin uses to deny Russian meddling in foreign elections.